The blower motor does the hardest job on your furnace. So, when it starts to fail, it can shut down the heating system that may leave you cold in winter. One of the common causes of furnace motor failure is overheating. In extreme cases, overheating can lead to fire. Here’s how you can detect and prevent overheating on your blower motor. Continue reading to learn more! Old furnaces are more vulnerable to failure because of worn-out parts. The age of your furnace determines the performance of the blower motor. Therefore, the older the unit, the greater the chances of malfunction. 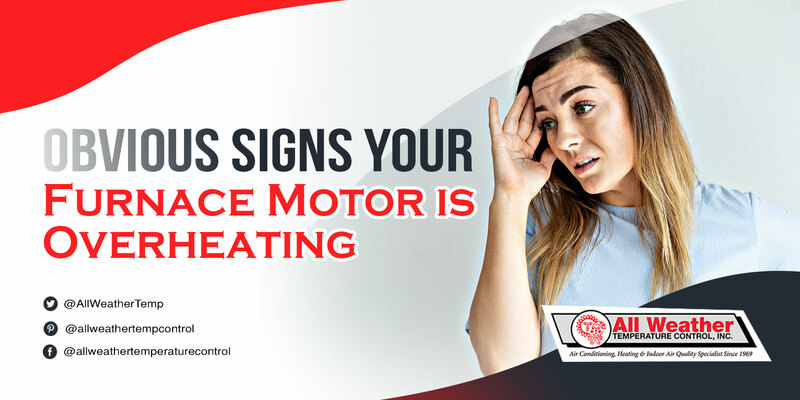 Without proper maintenance, your furnace motor is more likely to fail. The blower motor is a mechanical part that requires a routine cleaning, lubrication, and maintenance for best performance. Dirt and dust around the motor disable the blower to vent itself thus, building up the heat over time. Prevent overheating by maintaining a clean blower motor. If you noticed some cold spots in your home, that is because the motor has failed to vent the warm air due to overheating. In this case, your Copiague, NY home may become less comfortable this winter. Odd sounds are common indicators of issues in the blower motor. When it generates excessive heat, it causes the furnace to make humming and other unusual sounds. Overheating can cause your furnace to turn off suddenly and may no longer turn off. You might need to restart the system until it works again. Overheating Furnace Motor? We Can Help! Your furnace deserves the best care from the experts. Our experts at All Weather Temperature Control are here to provide solutions to your problems. Call us immediately for help.